If you own a home, odds are you would love to make some home improvements but flinch at the cost. After all, a major kitchen renovation or bathroom remodel will set you back around $60,000 on average—and who has that kind of money lying around? But there’s good news: Not all home upgrades are that pricey. Experts say there are a slew of home improvements that can transform your place for a few hundred bucks, or even less. Check out some of the ideas below, as well as the before-and-after pictures that prove what a difference they can make without blowing your budget. 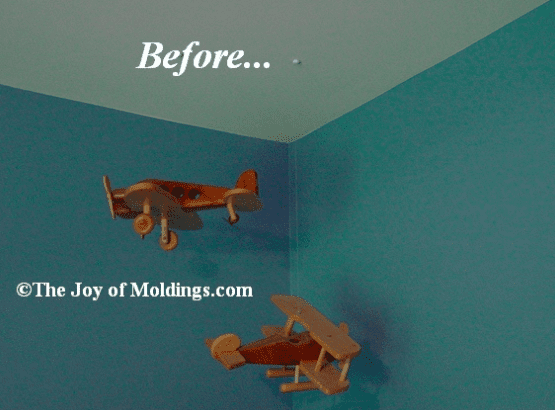 Ken O’Brien of The Joy of Moldings calls crown molding the “gateway drug” of home improvements. And we can totally see why. 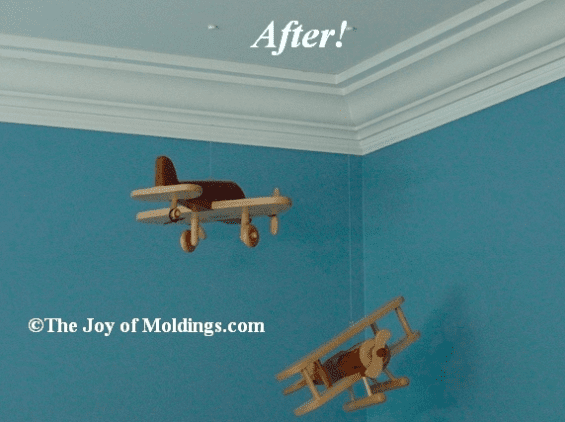 At $3 per foot, crown molding is as affordable as can be and has a dramatic impact on the space where your walls meet the ceiling. Bonus: This ornate detail also draws the eyes up, making the ceiling appear higher. Painting your front door a bold hue adds plenty of impact for the price of one small can of paint (about $20). 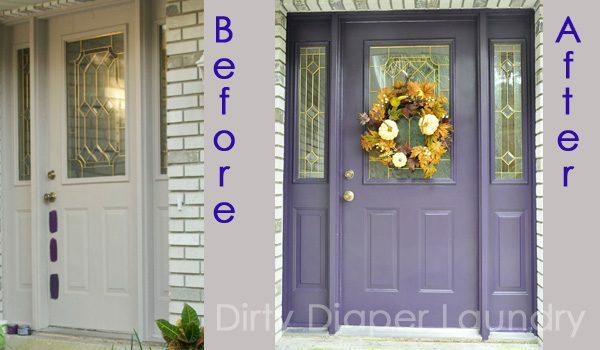 Homeowner Kim Rosas, a blogger at Dirty Diaper Laundry, was thrilled with the results after trying out a few different shades for her entryway. The winner? Purple. Home and lifestyle blogger Amy Goetz of The Blissful Bee says upgrading a light fixture is the perfect solution for renters who can’t make any structural changes. Her DIY drum pendant cover-up looks like a million bucks (OK, maybe a few hundred) but costs just $25. Grab your glue gun, and get ready to brighten up your space with this easy and inexpensive project. Add instant interest to your room by simply swapping out the boring brass (or worse, white) switch plates. If you can’t find an eye-catching option that complements your decor, you can fashion one yourself, according to Cheryl Sousan of Tidy Mom. Using fabric and some basic crafts supplies, the new look came together for easily under 10 bucks total. Diane Henkler, the DIY maven at In My Own Style, decided it was time to give her kitchen a fresh look. 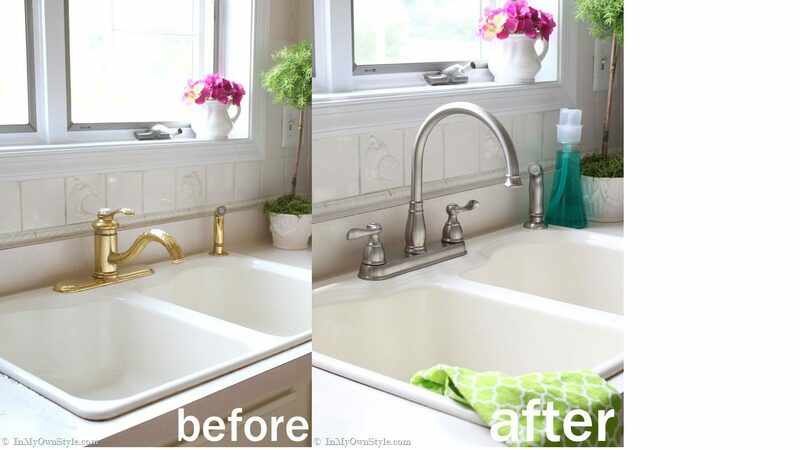 She simply replaced the faucet with something new. Given all the time you spend at your sink, this gleaming piece of hardware can really make a statement—all for a few hundred bucks. That sure beats spending thousands on new granite countertops. After this swap, Henkler moved on to the hardware on her kitchen cabinetry. Polished brass was all the rage a dozen years ago when she originally decorated her kitchen, but now it’s outdated and the knob tops were barely hanging on. Note: This tip also applies to the drawer pulls in your bathroom, bedroom, and beyond. What do you think? Are you gonna try any of these out? Let us know how it goes!